Got that tired, run-down feeling? 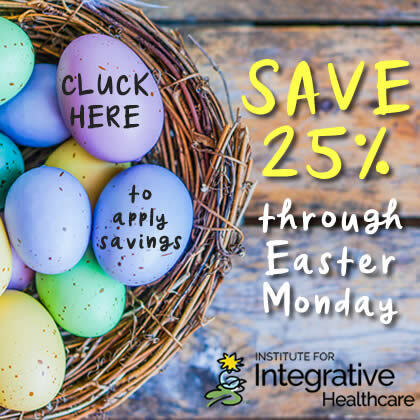 Learn easy, effective ways to support and strengthen your immune system through nutrition, dietary supplements, herbs and lifestyle choices. This course was an eye opener for me in terms of different methods to improve the immune system. It was detailed, informative and very structured. I loved it!!! I would surely use the suggestions in my practice. Thank you for a great course! I especially found the "Wellness is..." segment of the course interesting. The course strengthened my knowledge of nutrition and lifestyle choices and will have a profound effect on what I put into my body and the bodies of my family. Excellent! I enjoyed reading the material so much, it didn't feel like I was studying! The information is presented clearly and in an organized manner, easy to understand, and very interesting. The information in this course was good. I am glad that the over-use antibiotics was discussed and that the use of vitamins and herbs was recommended. We need more information like this regarding natural remedies rather than the use of prescriptions with all of the side effects that the MD's push. I learned new information, as well as validation about wellness practices I was already familiar with. The rules for FDA's and use of herbs changes frequently as new data comes out, so it was good to learn about what is currently recommended. 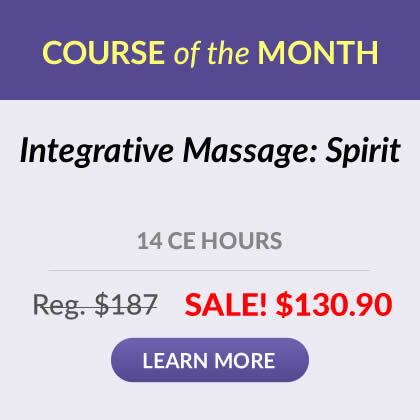 I've been a massage therapist for 20+ years and found this course to be very helpful...so helpful that I am going to recommend it to my friends and family as a resource to living Well and not just for the license credits-bravo! This course was concise, informative and easy to follow. Thank you! Such valuable information. Very easy to understand, interesting and informative. Interesting material. Reinforced how important it is to understand the immune system, and how to take care of ourselves naturally...the better way! Another great, informative and engaging class... Thank you!!! Excellent Study. The information was very interesting and I loved the whole study. Thanks. This is my go-to for on-line classes. They have met my needs and the classes have been very helpful. This course made me more aware of things I already knew but needed to review. I think all of us would benefit from this class. Very interesting with good information. I enjoyed this course very much. Reading time went quickly. Thank you. This is a great course! It's wonderful reference resource and has lots of good info in it. The material is presented with supporting research so you can do a deeper exploration if you want. The material is easy to read and understand. It could easily be presented to a client. I would recommend this course to everyone. Easy Read, great review and provides something new to learn! And Fun! Loved this course. Easy to follow and lots of reminders as well as some great new information that will help my family. Thank you for adding this course to your site! I loved this course, it was fun and awesome. I really learned a lot. I highly recommend this course. Excellent course! In-depth information furnished in a clear, concise format. I will definitely recommend this course to fellow Therapists. I love herbs and using them to heal so I can ensure my clients now! Loved the course! The reading material followed along with testing. Very precise, to the point and refined, excellent reference sheet to keep handy. Very complete. Short but informative with great information. Even though some of it is, in some cases, already known, its great as a refresher, reminding you of information that is conversation pieces for our clients. I loved this course! It was interesting, informative, well written, and very useful! Most interesting online course I have taken! It was great to be able to use a course like this to learn, and at my own pace. The information sunk in much better this way and will translate into my practice much more efficiently because of it. I love content like what was covered in this course. I can totally use it not only as advice for my clients but for my own life as well! Thank you! I enjoyed the course on "Staying well - Naturally". It was a good refresher for me on the importance of a healthy diet and proper hydration so I am able to perform at my best. Thank you! Even though it was a short course, it was very on target. Nice overview on boosting immunity safely and on the different approaches involved. Yes, I will use this for myself as well as to educate my clients from this day forward. Excellent, professional, well done. I appreciate the in-text references, and the mention of the author's name and credentials. The material was interesting and informative. A good value. 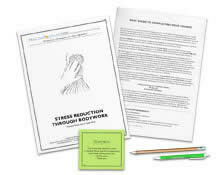 I took this course on the basis of self care not for my clients. It was an eye opener for myself and I will be using the information in this course for my own self care regimen. Thank you for making the material interesting and relevant! I will print the recipes that are in the course to use and experience them first hand. Thank you! I found this course to be extremely informative and helpful. Excellent guide! Thanks for the course. I really enjoyed the content and structure. I rated 10 on all aspects of this course. A score that was well deserved. Well Done!!! It was very interesting and I enjoyed gaining the knowledge that i did. Great course, all from the comfort of my home after a long day of massaging. This course met my professional needs as well as personal. I will probably keep this for furture reference for my own well being. I need to step up my healthy game. This course was well-formatted, and full of helpful information. Wonderful! This was very informative and broken down in a clear way that makes it easy to reference later. I appreciate all of the references to extra resources I can use for more in-depth learning. Thank you! The material was very interesting. Definatelly, a reminder that a healthy diet is very important. It also taught me things I didn't know. Thank you! Interesting information that I can use in my personal life and that of my family. Very informative for both myself, my clients and my students. Succinct and easy to understand. I really enjoyed this class. It was very interesting to me and I enjoy sharing the knowledge. Thank you for such a great study. Nice reference for basic information to tell clients about keeping their immune systems healthy. Easy to read and learn. essential to practice these guidelines when wirking with many clients a day. Great thorough information on how our body's benefit from being smart & taking care of ourselves....mentally, physically, spiritually!!! This was VERY educational. Not only will this info help me in my practice but it will also help me keep my family healthy!! Thank you!! This was exactly what I hoped for. Easy intake of important information and it didnt consume my whole day. This makes required continuing education a little less stress full. Thanks! This was an excellent course with very beneficial information. Easy to follow and digest. Very informative! 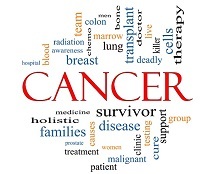 Will be useing this information to help the cancer patients I give massages to. I learned very useful things about the mind, body and nutrition in this course. This was a great refresher course for my personal use and can be shared with my clients as it applies. I found this course to be very informative and interesting. Things I thought I knew, I was able to gain more knowledge and I feel more confident about sharing with my clients in my practice. Great basic information. I happened to already know this info but it was a good refresher. I find this knowledge personally valuable and I'm sure this knowledge makes me a healthier person and thus benefits my clients. I enjoyed reviewing this lesson's content. It was a great reminder that I need to continue to reinforce the importance of balanced nutrition in terms of warding off chronic illness. This was an interesting course. I learned some valuable things that I did not know. Wow, this course was great! Another compliment to my massage practice in educating my clients, invaluable and appreciated information! Very interesting and helpful information. Learned several new things which will help me be healthier and I can pass on to my clients as well. THANK YOU! Very informative and interesting course. Great information that I can use in my personal life as well as in my practice. Very Informative! I enjoyed learning more about the different aspects of vitamins and herbs and their positive and negative effects on the body. Course contains good info to use and pass on. I loved the course content and felt it was relevant for not only my practice but my personal well being! Loved this course!! Have been on a health kick, lately, and this was very informative. Thanks so much!! Very informative course. Thank you for yet another fabulous course of study!! Excellent course. I was introduced to a lot of new information and information that I knew prior to this course but was unsure of was clarified. I will definitely refer back to the course material to make my own lifestyle changes. The course was very helpful and informative. Very informative. There were things that I didn't know about herbs that are very helpful. This is my 2nd course & I'm very satisfied! I really liked this course. Easy to understand and also apply to daily life. I truly enjoyed this CEU! It was very informative and useful for me. Excellent for personal health reference as well as waiting room reference for clients to look at if they choose to pick it up and read while waiting. Great education for current media misinformation. Thank you! The information was great. I have always wanted to know about some alternatives to antibiotics. I do not like to take pills, so this course was great. I learned a lot from it. There was excellent information regarding diet and supplements which I did not know prior to taking the course. I found this course to be filled with useful information, which will not only benefit my practice, but also my personal well-being. It will be used upon patient request. It was a very interesting course. I learned a lot. I have just experienced a year in a Wellness Program. This material was a great supplement to our Nutrition Portion. Very interesting and written in a clear, concise manner. Product arrived as promised, convenient course, thorough, and very useful. Very interesting, concise course with very good references. This course reinforced many of the things I already knew and filled in many of the blanks I had about good health and my immune system. Excellent course, excellent information on herbs. - Rachel S. Broad, LMT Nashua, NH. I loved the information on nutrition and wellness. The content of this lesson is information that every individual should be knowledgeable of and was quite a wonderful refresher for me. This is a very easy way to obtain CE credits. I enjoyed this course as a refresher in nutrition and even used it to teach my 12 year old daughter about nutrition.